A week later, I got an email stating that they don't actually have them anymore, and they cancelled the order. Which I thought looked horrible. Seriously, it's supposed to look like a chimney with a 2 liter bottle sticking out of it? Then I found the original one I wanted to order, the one that looks like the green present, on sale somewhere else for $80. Ouch.. 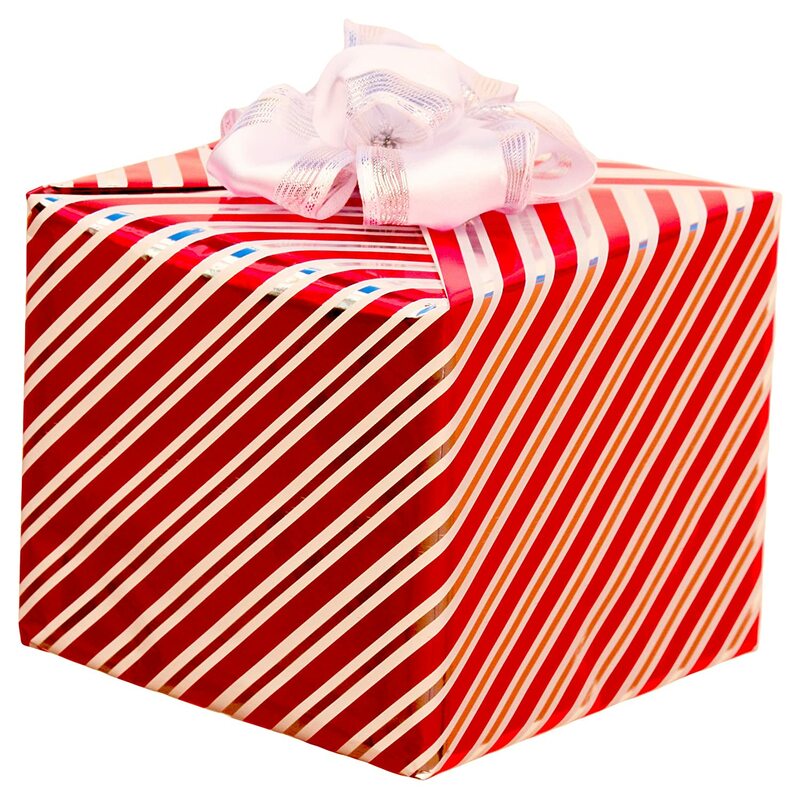 It's a cardboard box, with a plastic liner, that you wrap yourself with the included wrapping paper. 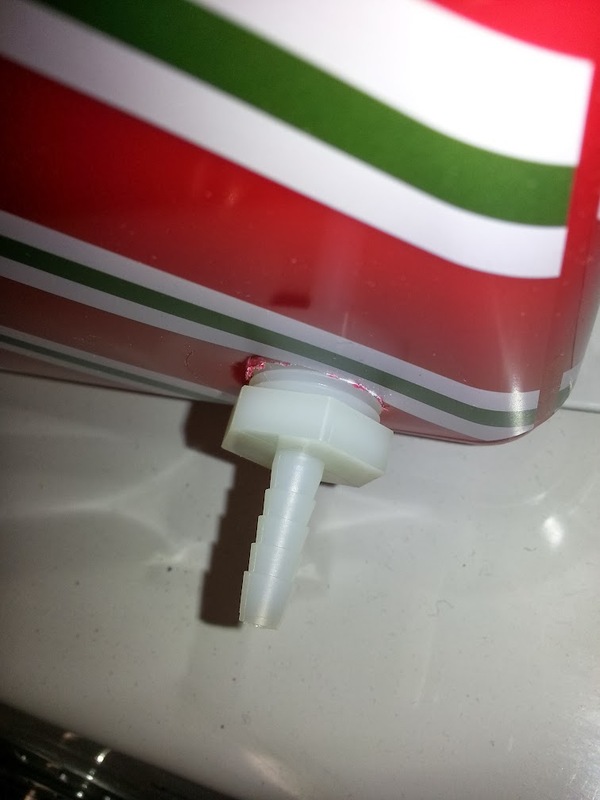 The filler spout is under that White bow. Read the reviews, people complain that it works great, until you have to refill it. If you get water on the paper, or the box, it get's ruined. Time to build my own. I found a few instructables, and websites. Some better than others. Ok. Time to build my own, but make it look pretty. I found Ricky Spears directions the most helpful, and mine is based on his effort. Opaque cause I want it to look pretty, and the box I found already looked like a present. It's important to note that your box be fairly robust. 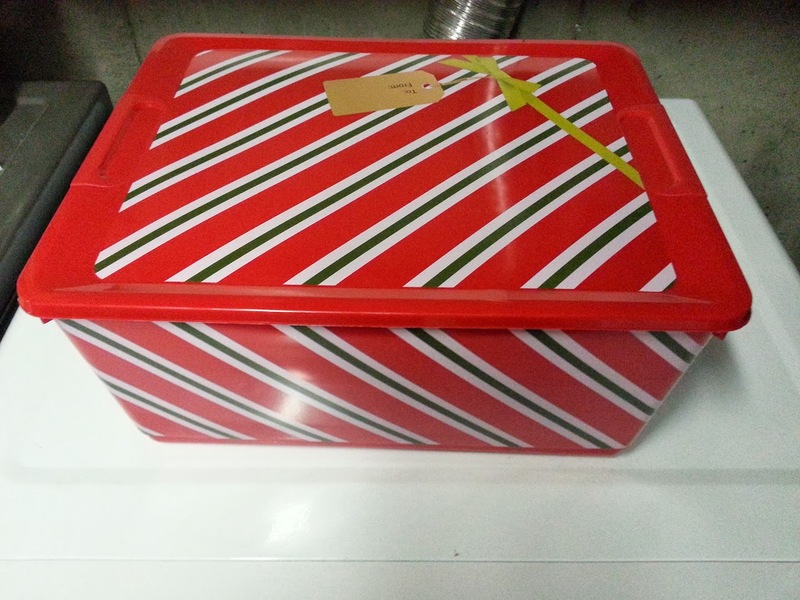 The first box I chose (not shown)was quite brittle, and cracked when I cut the hole. It was a different kind of plastic. Important consideration is to make sure the box is about the same height or a little higher than the highest water level on your tree stand. 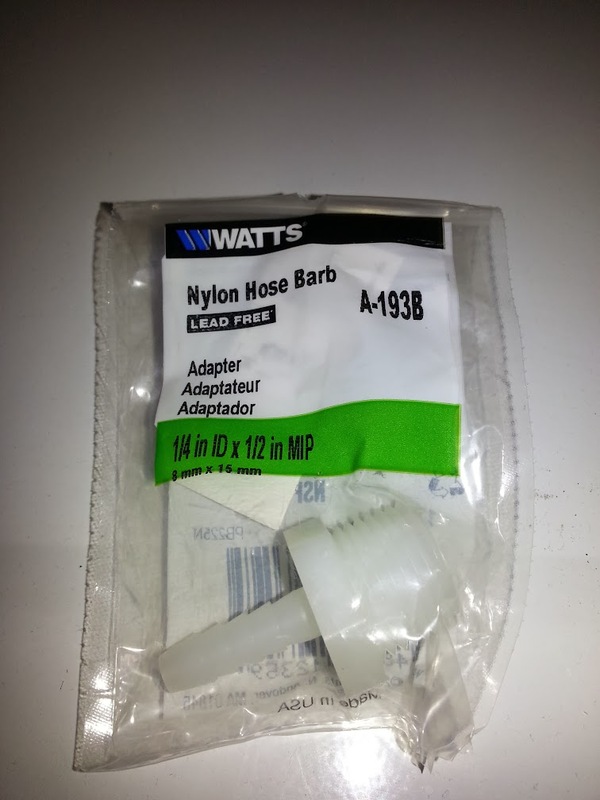 Nylon hose barb, I got it at Lowes for $1.88, you'll glue this to the box to make a hose port. Pay close attention to the ID or Inside Diameter. Mine has a ID of 1/4"
I used this one with the 1/2 MP because I wanted a substantial surface to glue. If I used a 1/4 double-ended barb, I was worried I wouldn't have enough surface area. I used Nylon instead of brass because it was cheaper, and easier to glue Plastic to Plastic. I also got a threaded end so that it's possible to thread it into the hole that is cut. Brass Hose Barb, I got it at Lowes for $3.50. Used to weigh down the end in the tree stand. Again, Pay close attention to the ID. This has to match the ID of the other Hose Barb. Outside Diameter, or FIP doesn't matter, this is only being used as a weight. 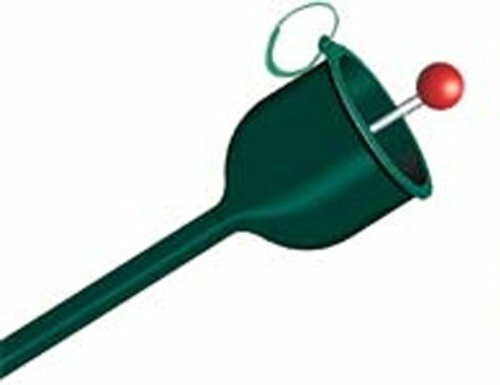 Other designs I've seen forgo using a weight, and just zip-tie the hose to the base of the tree. 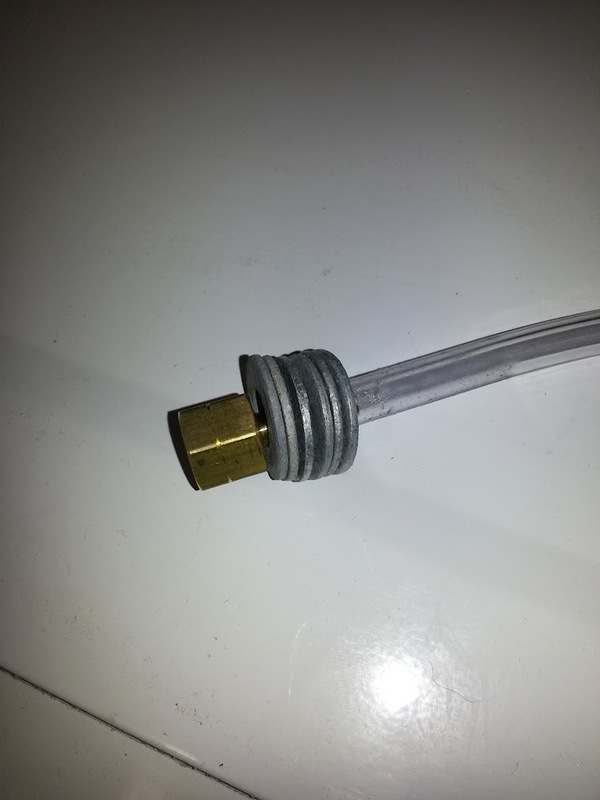 The inside diameter (ID) of this hose is 1/4, which matches both of my barb's. Whatever size barb you use, get a matching ID. Make sure the hose is flexible, you want to attempt to hide this later. Remember, you will be glueing this to make it water tight, so picking a good glue is the most important step, and is the difference between success, and a big puddle on your floor. I couldn't find any of the correct type of Epoxy in the self mixing syringes, so I had to go with the two tubes method. It goes without saying, but this is the internet. Make sure it's waterproof / approved for use with water. Use a drill bit to cut the hole as close to the size of the thread as possible. 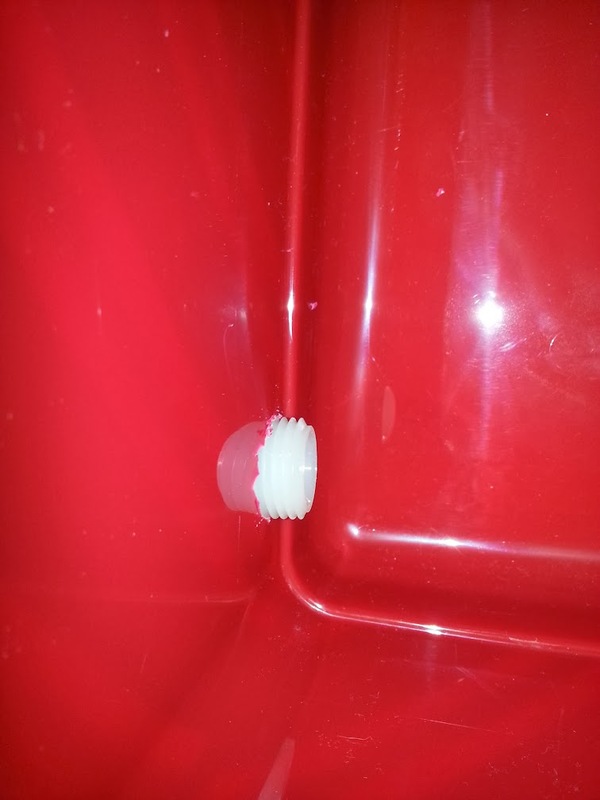 For me, 3/4 inch was the exact size to make the threads bite into the plastic. 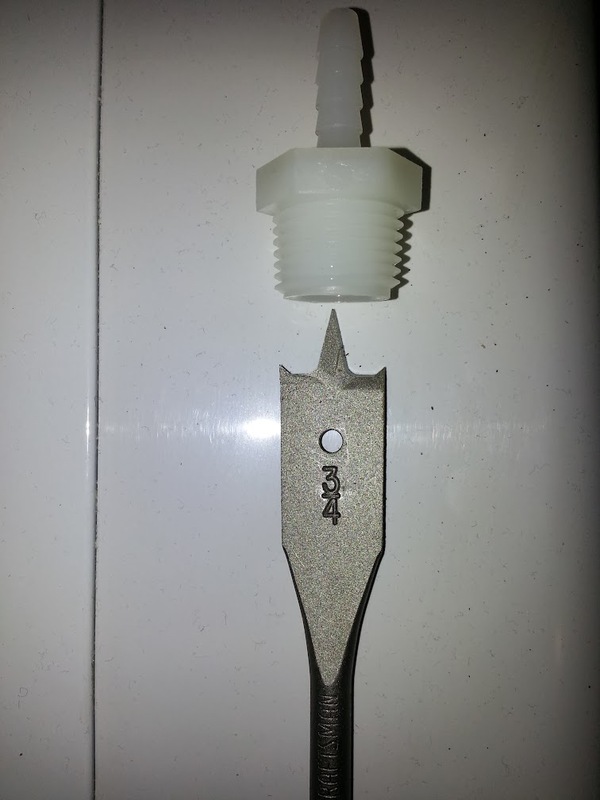 Test fit your Nylon barb in the hole you cut. 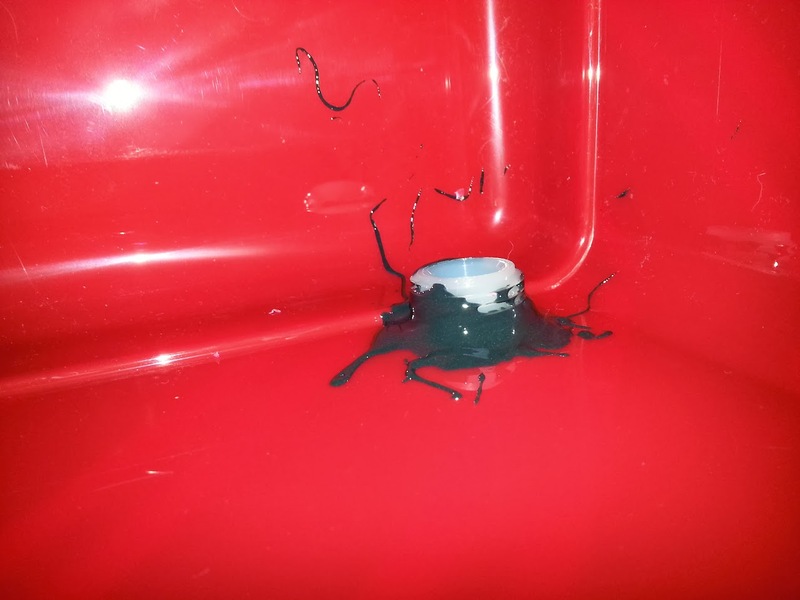 You want to make sure it's tight, but not too tight BEFORE you mix the epoxy. DON'T thread it all the way in, you want to leave about 1/8th to 1/4th exposed. Follow the directions to the Epoxy, and mix it up. Beaware, you're on a clock now, my epoxy cures in 6 minutes, so that's how long I had. (Which is more than adequate). Mix MORE of it than you think your gonna need. *Note, epoxy is NASTY stuff. It smells bad, it's about as permanent as anything comes, and it's messy. Take precautions. Goop it on there good. You're trying for a waterproof seal here. Do the outside first, and then thread the remainder of the threads in tight to the box. 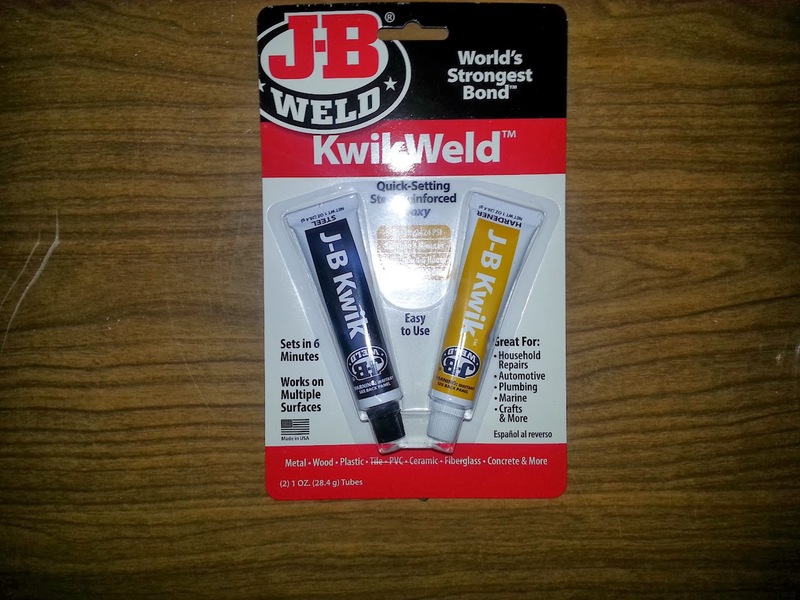 This should work the epoxy INTO the threads, and seal it up. Then do the inside. Remember, waterproof is key here, and no one should ever see the inside, so go heavy. Just don't block the holes so the water will flow. I wiped the outside of mine with a heavyduty papertowel, so that's why it has that "Fade" look to it. Let it dry for however long the epoxy says to dry. Mine is 4 hours. I let it sit overnight before I did a water test. Push the tubing onto the plastic barb. If the epoxy breaks at this point, you chose the wrong glue. Measure how much tubing you will need, and cut it to length. Came out to about 6 feet for me. The spool of tubing I purchased was 15 feet. More is not better here, just right is the way to go. If you need more weight later, just remove the barb, and add some washers. (Try for something made for water applications, like Stainless Steel. Perform a water test. It's nice to know if it leaks before you put it under the tree. Put the box in your sink or tub, and fill it up. Try not splash water on the outside, since you want to see any water if it leaks. Place the hose HIGHER than the box, so the water does not flow. Leave it there for a while. It's better to find out in the sink/tub than on the floor. If it leaks, try to see where it came from, and apply more epoxy to seal it up. You want the Christmas Tree Base reservoir to be about 1/2 full before you do this. Some water in there to keep the tree alive, but room to fill to ensure the system is working. Place the empty box where you want it, within reach of the plastic tubing. Keep in mind you will have to refill this, so don't bury it. 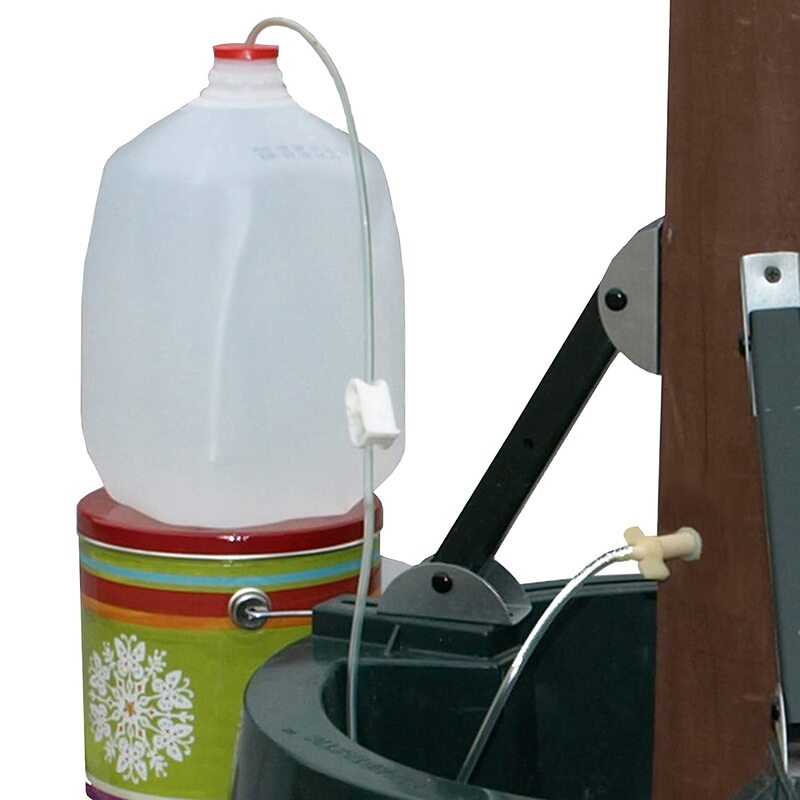 You also want to ensure that the water level of the box NEVER comes above your tree stand. If your box is shorter than the tree stand, No problem. If it's taller, use a marker, and make a Maximum Fill Line, with the line being just below the top of your tree stand. 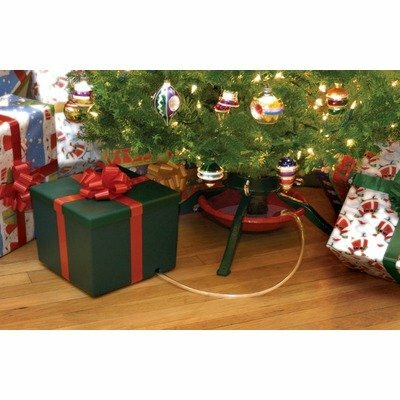 Run the plastic tubing to the tree. Add water to the box, Don't put too much, you have to lift it in the next step. 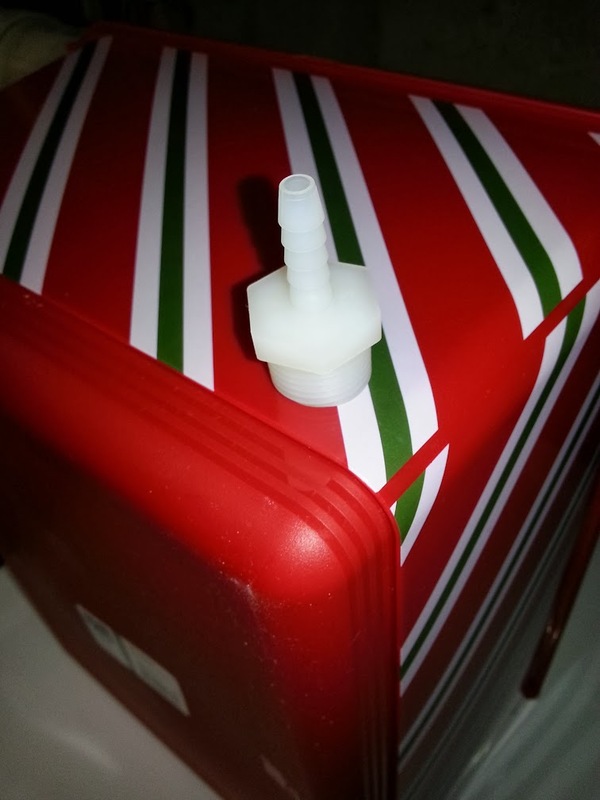 To jumpstart the syphon process, lift the box completely above your high water point on your tree stand, long enough that all of the air is removed from the hose (this is why a shorter hose is better). 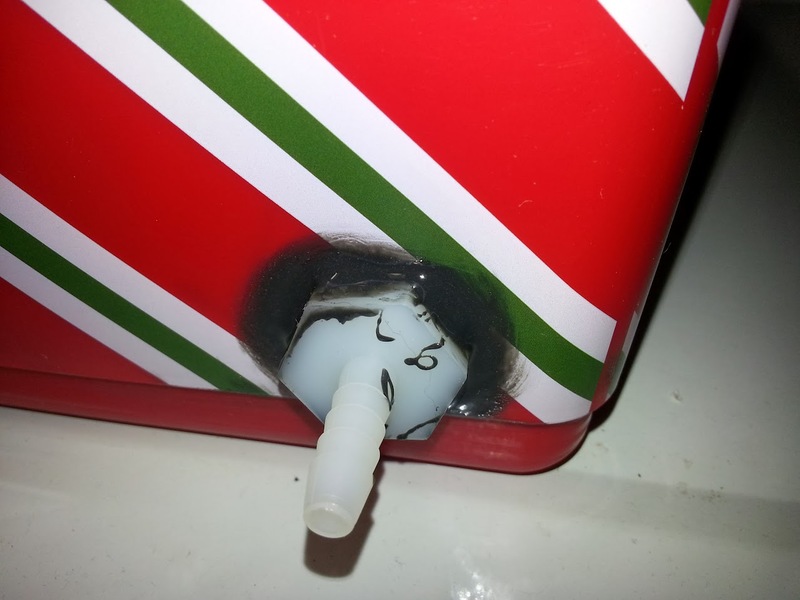 Put the box down when all air is removed from the waterline. Fill the box to the Maximum Fill Line. 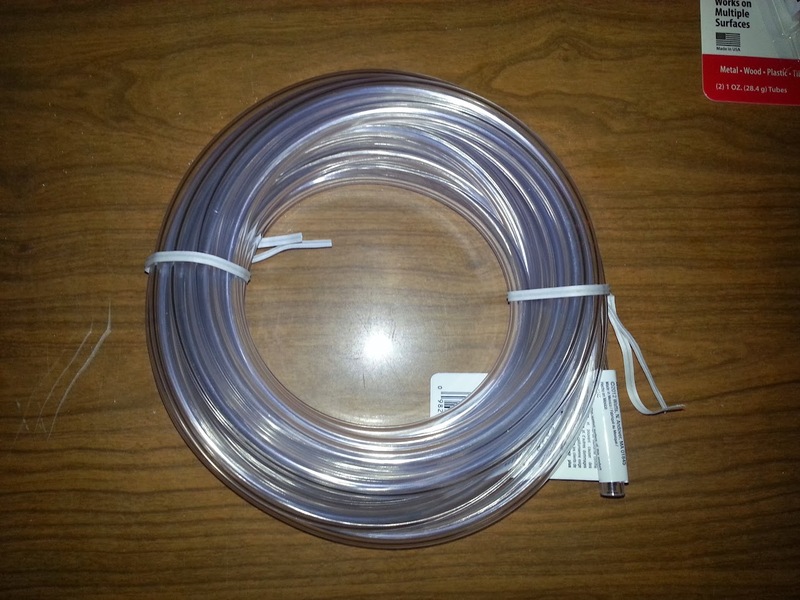 Check tubing for air bubbles. If you see them, the syphon didn't start. Look at the highest point for the bubbles. For me this is where the tube makes the turn into the Tree Stand. When you fill the box, it takes awhile for it to flow to the Tree Stand, so be patient. The system should be working at this point. Check on it occasionally, till you get a feel for how much water your're using. Mine runs for at least 4 days before I need to top it off. If you ever run out of water, you'll have to restart the syphon process. 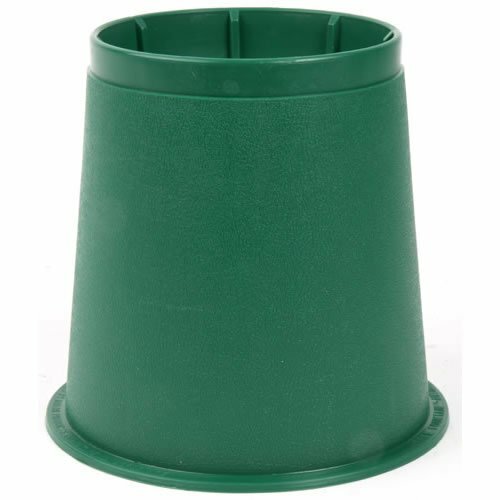 If the tube get's knocked out of the tree stand, (Kids, Pets, Visitors) it will very quickly dump your entire water reservoir on the floor. You might want to rethink zip tying it to the tree trunk. I've had this in place for two weeks now. 4 gallons is ALOT of water. It took a long time to fill it up. On the flip side, I went away for 4 days, and the water level only dropped about two inches. I still had 3 inches to go before it was empty. 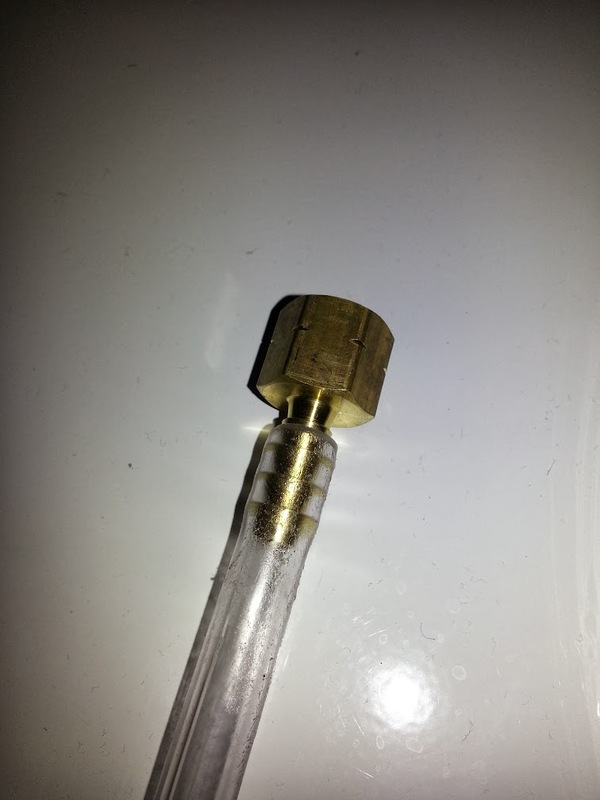 I had issues getting the syphon process started. Things that helped (I've included them above) is setting the brass weight on it's side, as opposed to straight up. It helps the air escape the line when your jumpstarting the syphon. Another thing that helped was having the hose as short as possible. The box I chose blends in really well, so that it's almost invisible next to the tree.